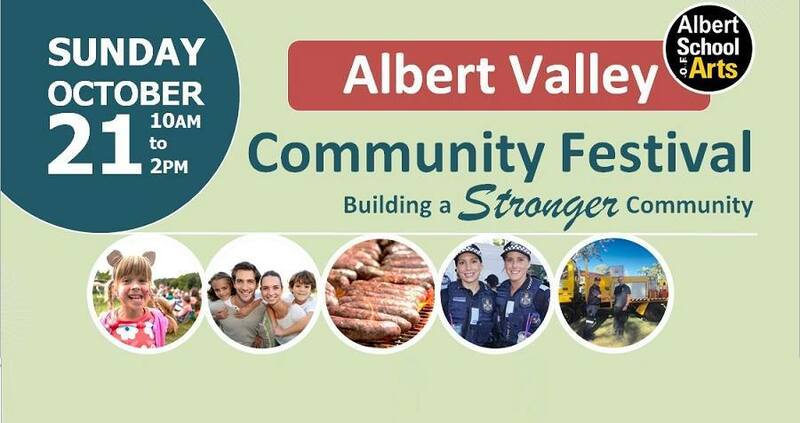 On Sunday the 21st of October 2018, the Albert Valley community festival will take place at Cedar Creek Hall. 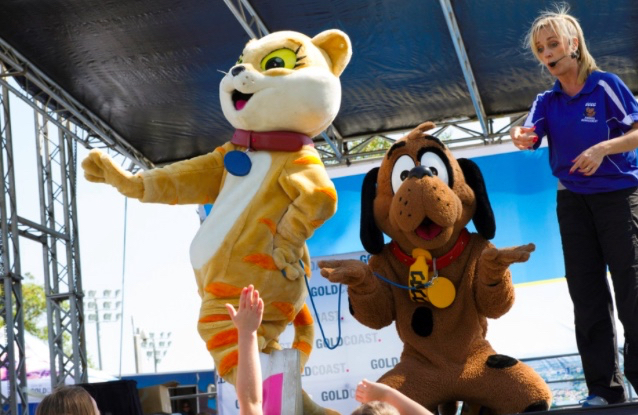 The festival will run from 10am-2pm and will include a variety of displays, activities, food and drink and live entertainment. 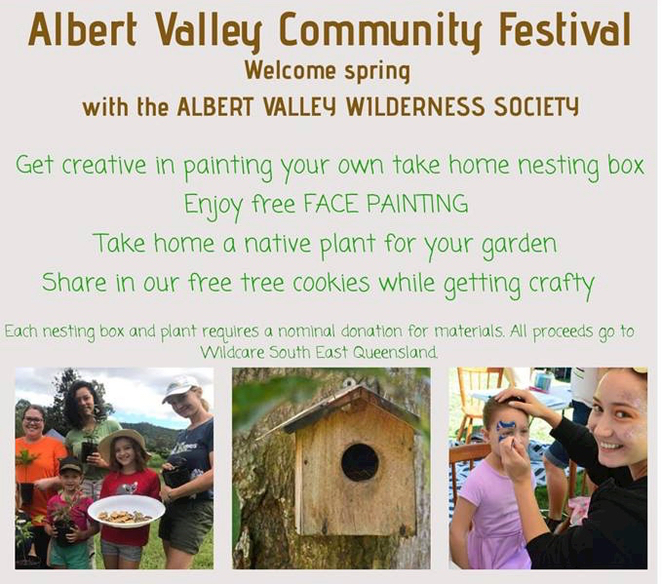 There will also be a number of activities conducted by the Albert Valley Wilderness Society including face painting, and nesting box painting (a donation is required to help support their work). Entry to the festival is free, and everyone is welcome so come along and enjoy a fun day out.